Yogyakarta: For the first time in the tournament’s nine-year history, 16 teams will feature in the AFC Futsal Club Championship 2018 in Yogyakarta on August 1-12. the-AFC.com previews the four teams in Group A.
Vamos FC created history in Vietnam last year as the first Indonesian side to feature in an AFC Futsal Club Championship. The 2018 hosts bowed out of the tournament after finishing third in their group, registering a win and two losses, behind Al Rayyan and Naft Al-Wasat. The Indonesians secured back-to-back Pro Futsal League (PFL) Championship titles, equalling IPC Pelindo II who achieved the feat in 2011-12 and Electric PLN (2008-09). They will be without Iranian import and former Giti Pasand player Ali Abedin, who left the club in June. Andri Kustiawan, who was the PFL top scorer in 2018 with 27 goals, will spearhead Vamos FC’s attack alongside Syahidansyah Lubis and Alfajri Zikri. 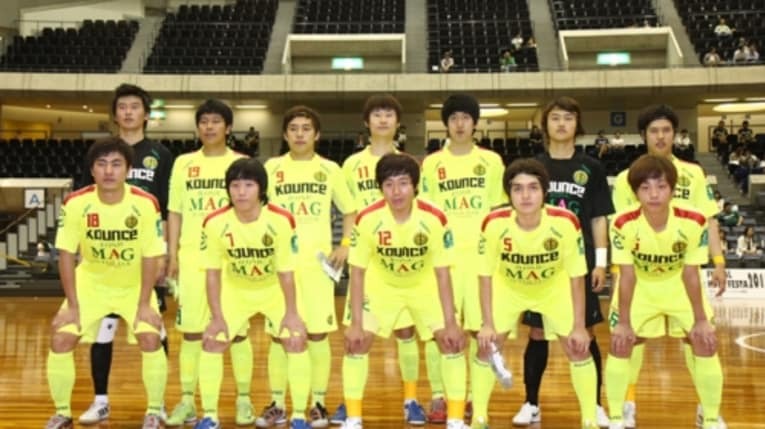 Three-time AFC Futsal Club champions Nagoya Oceans are back in the fold and will be making their eighth appearance in the tournament. The runaway leaders in the F.League are on course to claim their 10th domestic title but did not feature in the previous edition of the AFC Futsal Club Championship after finishing third in the 2017 F.League, with Shriker Osaka winning the title. Osaka went on to play in last year’s AFC Futsal Club Championship in Ho Chih Minh City, bowing out to eventual champions Chonburi Bluewave 4-2 in the quarter-finals. Oceans will be aiming to make up for last year's miss when they begin their quest for glory on August 2 against China’s Dalian Yuan Dynasty Club. Dalian Yuan Dynasty FC will be making their second appearance in the competition. 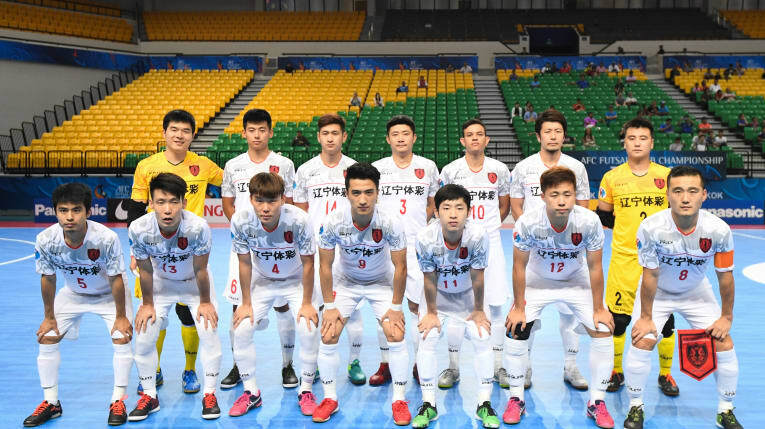 The 2016–17 China Futsal Super League champions ended their 2016 AFC Futsal Club Championship campaign with a point to finish last in their group behind Naft Al-Wasat and Dibba Al-Hisn. Dalian had a slim chance of advancing to the knockout round as the 1-1 draw against Dibba in their opening match gave them hope. But it was not meant to be as they lost 5-1 to group winners Naft and will be targeting a place in the knockout stage in Yogyakarta. Victoria University College, Myanmar’s representatives, will be powered by six players who featured in the 2018 AFC Futsal Championship in Chinese Taipei. The tournament debutants will be aiming to shock the established teams as they bid to extend their inaugural appearance. Yogyakarta: Futsal fever is set to heat up as the top 16 teams get set for the AFC Futsal Club Championship 2018 in Yogyakarta on August 1-12. the-AFC.com previews the four teams in Group B.
Thai Son Nam will be featuring in their fifth continental club competition following commendable outings in 2015 and 2017, finishing third on both occasions. An intimidating fact for their Group B opponents is that nine players from the Vietnam national team who featured in the 2018 AFC Futsal Championship Chinese Taipei hail from Thai Son Nam FC. The most decorated club in Vietnam futsal history, with five Vietnam Futsal League titles, Thai Son Nam FC will be a force to be reckoned with. Al Dhafra FC will be playing in their second AFC Futsal Club Championship following their impressive maiden outing in the 2017 edition where they reached the last eight. The UAE-based club topped their group on head-to-head after finishing level on points with Thai Son Nam and FC EREM of Kyrgyz Republic with six. Al Dhafra, however slipped tp a 4-3 defeat against Qatar’s Al Rayyan in the quarter-finals. Nafit Al-Wasat have been impressive since making their debut in the AFC Futsal Club Championship three years ago. Despite not much being expected in 2015, the Iraqi side defied all expectations by topping a tough group featuring Chonburi Blue Wave and Al Rayyan SC of Qatar, before losing to eventual champions Tasisat Daryaei in the semi-finals. Nafit continued their fairytale in the 2016 edition, surging to their first-ever final before losing agonisingly on penalties to Japan’s Nagoya Oceans after an enthralling 4-4 draw at the Bangkok Arena. Their exploits in the last edition saw them topping their group again ahead of Al Rayyan, before falling 4-0 to Thai Son Nam in the last eight. Five-time FK-League champions Jeonju MAG FC will step into the arena as one of the debutants in Yogyakarta. Jeonju will be creating history when they open their account against Thai Son Nam on August 1 as the first Korea Republic team to make an appearance in the competition’s history. The club will rely on forward Jo Byung-girl, who featured in the 2018 AFC Futsal Championship in Chinese Taipei, to spearhead their attack.